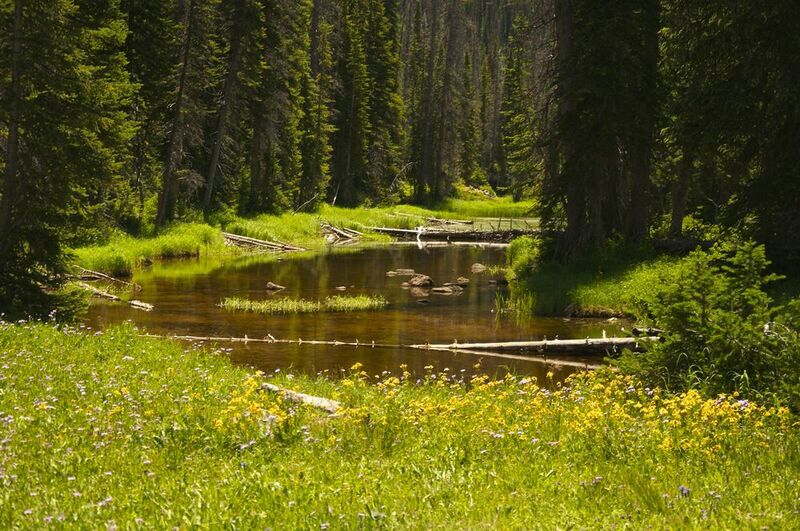 Description: Three Island Lake Trail near Steamboat Springs is a lush, stream side hike in the Mt. Zirkel Wilderness. 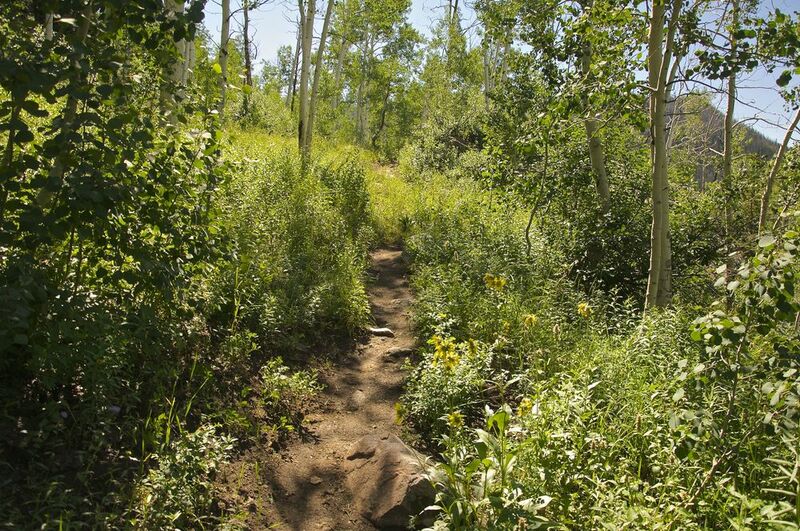 I spend most of my time hiking Boulder County trails, which are on the east side of the Continental Divide. This means the geography is quite a bit more arid than those trails found in the western ranges where weather patterns tend to deposit most of the moisture. 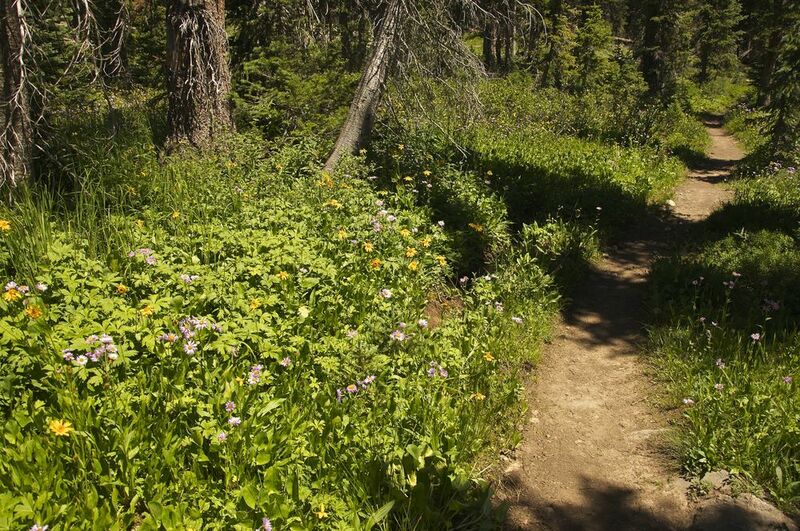 So, I really enjoy it when I get a chance to hike west of the divide where the trails and terrain are so much more lush, at times almost obscuring the trail from view with dense growths of fern, wildflowers and other flora. 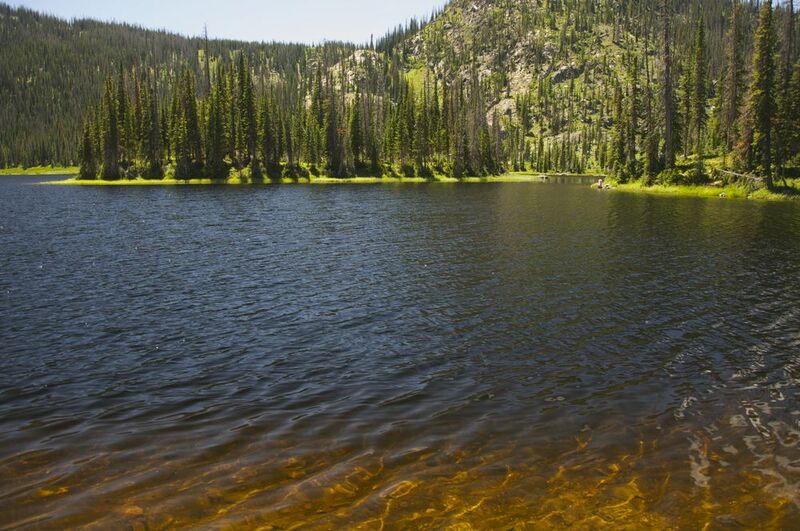 Three Island Lake, located in the midst of the Zirkel Wilderness and Park Range of the Rocky Mountains is a great example. 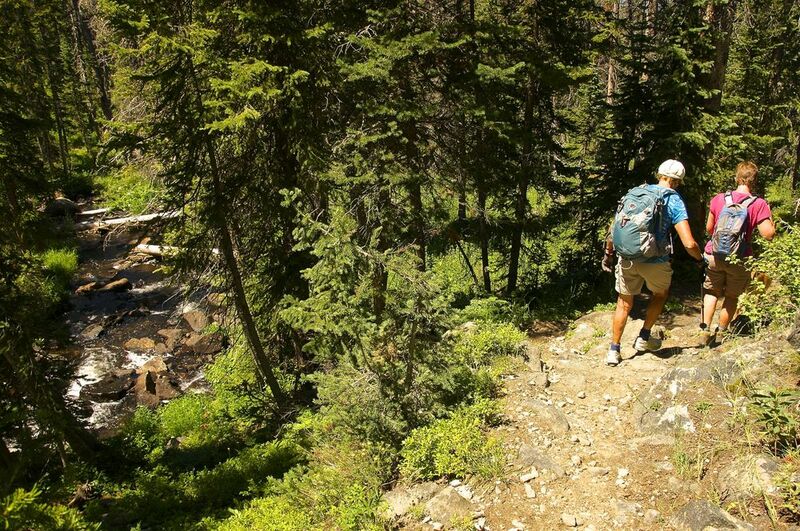 The friendly woman at the Steamboat Visitors Center suggested the hike on a weekend when Steamboat was packed with vacationers, recommending I take my dog and get the hell out of Dodge. In a kind way, of course. Thus, I ended up about an hour from town on one of the greenest trails I've hiked in a long time, often with the sound of rushing water in the background, its melodic notes seeming to cool the air around me on a hot summer day. Challenge Level: Tough Intermediate, 7.1 Miles, 1,571' Elevation, 3-4 Hours. I always struggle a bit more when there is a lot of humidity in the air, and the recent rains and abundant greenery in the area made the breathing, and thus the climbing, more difficult the day I hiked. Also, this trail tops out at just under 9,900' after 1521' of up and down climbing. 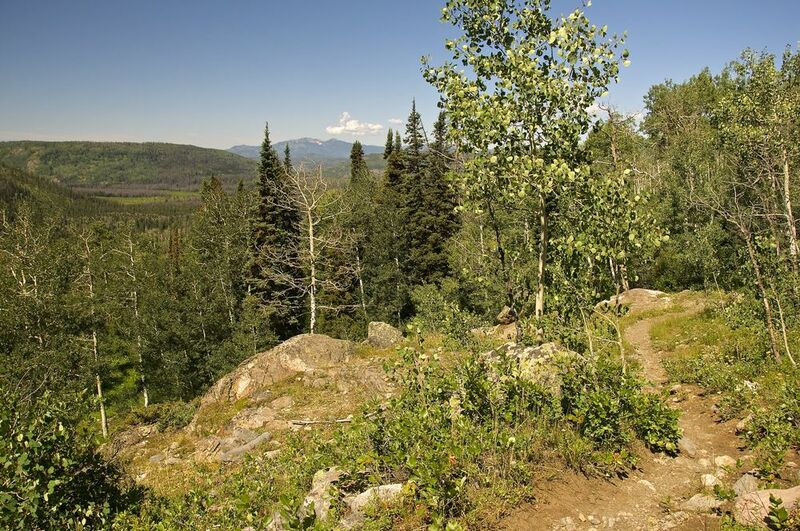 The trail itself is not too difficult except for the fact that there are several steep switchback sections that will get the blood flowing and heart pumping. 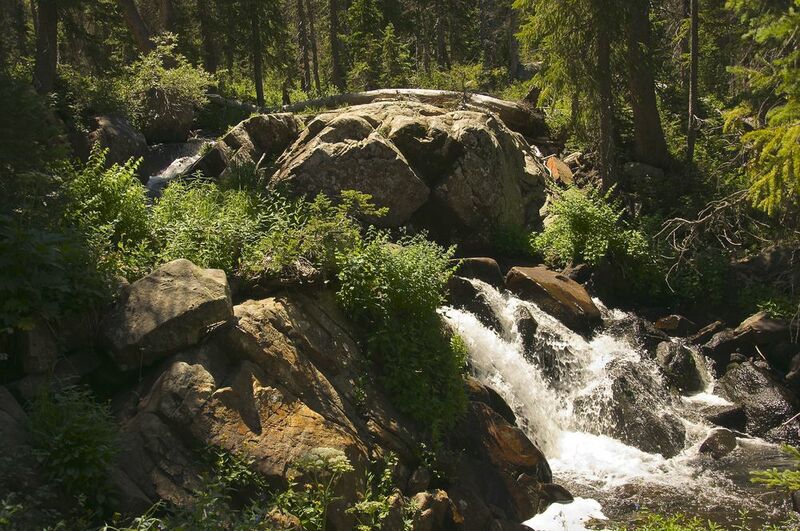 It's a long hike so take plenty of water, snacks, and enjoy a good rest at the top before heading back down. Parking and Trailhead: Park at the trailhead where you will see a map board and a wide out for parking. The trailhead is just past the parking on the left. Just up the trail a short distance is a registration desk. Sign in before proceeding. 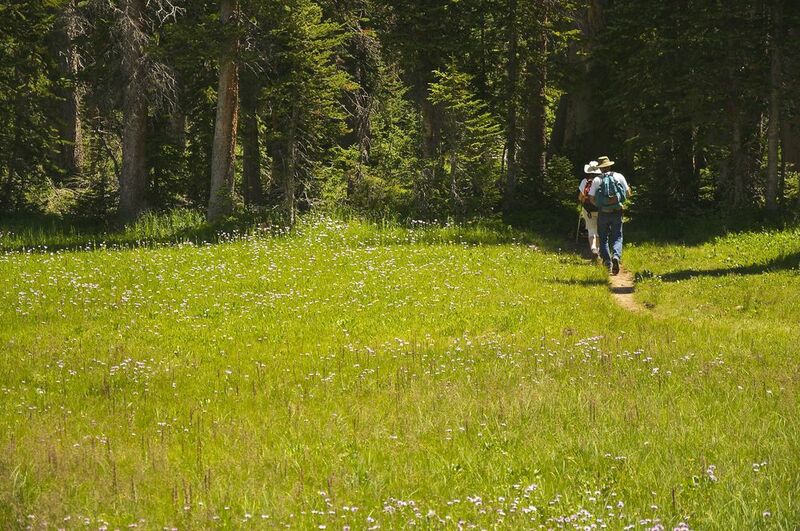 Trail Guide: Continue up the switchback connector trail after you register. After a quarter of a mile you will come to the intersection of Trail 1163. Turn right and your next stop in 3.3 miles will be Three Island Lake. It's that simple, thought the effort is not so easy. 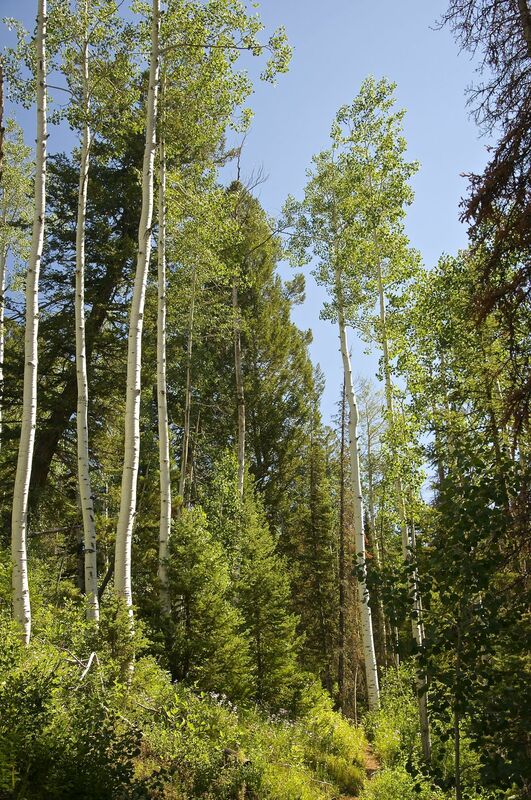 You will start out in sections of older, stately Aspens, move onto some rocky plateaus, down into the stream valley full of heavy overgrowth, then climb up through pines along the stream to an open meadow just before you reach the lake. All very beautiful. Find a spot to rest and maybe dip some sore feet in the cold water. Fuel up and head back, turning left at the trail intersection when you meet the connector to the trailhead. Mark on the register you have returned. Après Hike: Steamboat is up and coming on the craft brew scene with a handful of breweries opening in the last couple of years. One of the originals is Mahogany Ridge Brewery and Grill on Lincoln. Not only are their beers very good, they have an incredible $8 flight of eight beers! Can't beat that with an Aspen stick. While I am a fan of more hop-back on my pales and IPA than their's produce, they do interesting things with their malts. I definitely recommend their Alpenglow amber. The menu is tasty and diverse as well. Be sure to give them a try if you are in the area. Cell Sevice: Rare, if at all.